It has been anticipated for years, and as of yesterday, Southwest has finally started selling tickets for its first Hawai’i flights. Even though this is only the beginning of the airline’s service rollout, there is a lot we can glean from this. It took Southwest a long time to get all the government approvals, but it was only about a week ago that the final sign-off came through. Some airlines might have looked at that and said, “Ok, summer is high season, so let’s just start flying in June and give ourselves plenty of time to sell those seats at a good fare.” But Southwest went with a different strategy. It is less than two weeks between the day that Southwest started selling and the day it will have its first flight. Oakland to Honolulu begins on March 17 with Oakland to Kahului (Maui) coming April 7. Honolulu to Kahului begins April 28, then San Jose gets Honolulu on May 5. Honolulu to Kona starts May 12 and finally San Jose goes to Kahului (Maui) May 26. That’s it for the first round of service, but more is coming. With such a short ramp-up, Southwest had no choice but to try to fill the planes with low fares and generate some buzz to put butts in seats. It went REALLY low with fares starting at $49 one way, and the seats sold out very quickly. Why go with this strategy to fly money-losing flights? Well, there are two reasons. First, it’s great press. It helps drive home the idea that Southwest is the low-fare leader even when that doesn’t always match reality anymore. This was a great marketing opportunity, and Southwest swung for the fences. Second, fixed costs are already there. Southwest has had its terminal space built and employees hired for some time. If you have to pay them, you might as well start giving them a job to do. Redeyes would be the obvious way to serve the Eastern half of the US, but Southwest still can’t handle that. So if you live east of the Rockies, this won’t be for you. Instead, Southwest has gone with two basic time banks that will serve both the local California markets as well as connections in the West. Southwest has the traditional West Coast-Hawai’i schedule: morning flights out and afternoon returns. With flights leaving between 8 and 9, they will be almost entirely filled with people who aren’t connecting. There are only a couple markets that can connect, like Los Angeles or Vegas, so there will be some. But for most, it’s not an option. On the return, it’s the same. With flights arriving just before 9pm back in California, there are very few markets that will have connecting options. The second flight is on a much stranger schedule. It’s an evening westbound flight which will allow connections from just about anywhere in the US. That’s not a surprise. But the return is timed oddly. Instead of an early morning return which might open up more connections, the flights will leave mid-morning and get back around 6pm. That means there will be plenty of people who can fly westbound but not east on Southwest if they want to go to Hawai’i. This appears to be the standard pattern that Southwest will use for flights. One day it will get its act together and fly redeyes, but until that day happens, much of the network is going to be off limits. When I spoke with Andrew Watterson at Southwest last year, he compared San Diego-Honolulu with San Diego-Baltimore, noting that the fares in the former were higher than the latter. And the latter performed well for Southwest, so that was a good sign. Of course, the markets are different. There is less last minute traffic in a market like Honolulu than in Baltimore. That’s why Hawaiian markets tend to have higher advance purchase fares and lower last minute fares. They concentrate closer to the middle since there aren’t as many high last minute fares to offset low promo deals. I figured Southwest would also have lower last minute fares in the Hawaiian market, but that appears to be wrong, at least from a fare structure standpoint. The Anytime fare for Southwest is $604 in Oakland-Baltimore and $599 in Oakland-Honolulu. So it appears to be about the same. This is lower than the highest last minute fares on other airlines, but it’s not any different than other Southwest markets. The filed fares below that top level do seem to be higher in Honolulu than Baltimore, once you get beyond all the promo noise. Of course, none of that really matters since it all depends upon the inventory Southwest makes available at each fare level. Southwest could have low Wanna Get Away fares available at the last minute for a fraction of the Anytime price. It’s too early to know that yet. Southwest has also rolled out its first neighbor island flights, and so far we see four daily in both Honolulu to Kahului (Maui) and Honolulu to Kona. As expected, Southwest will rotate airplanes from the mainland into the neighbor island network for a brief period and then send them back to the mainland. I’m sure as Southwest rolls out more flights, that patterns will change, but the basic idea of rotating airplanes through is likely to hold. Interestingly, Southwest seems to have a 45 minute turn time on these flights which seems fairly long for a neighbor island turn. But that’s probably just how the schedule came together. What I find strange about all this is that Southwest appears to have scheduled neighbor island flying around aircraft utilization and not around when demand exists. The bulk of tourists flying between the islands prefer the mid-day time period. Yet Southwest only has half of its flights between mid-morning and mid-afternoon. The rest are early morning or evening. That might appeal to locals, but locals also like having the ability to just get on a plane when their work is done. Hawaiian flies a mind-numbing number of times in those markets and will have a huge advantage in that sense. Presumably Hawaiian is going to watch this closely, and it wouldn’t surprise me if flights at times in the morning and evening that are similar to Southwest’s end up getting matching fares. Southwest is going to have to fill up 175 seats with infrequent service. While I expect a bottomless pit of demand on the mid-day runs, I’ll be very curious to see if it can get much traction outside those times. In markets like Honolulu-Kahului, if Southwest wants to seriously compete for locals, four flights a day isn’t enough. I imagine as the airline ramps up flights from California, we’ll see more neighbor island flying in these markets. But how many flights Southwest can add with so many seats on those airplanes remains to be seen. Surely this isn’t a great day for Hawaiian Airlines. More capacity and lower fares are now flooding some of its main neighbor island markets. Even though Hawaiian still holds a huge schedule and loyalty advantage, it’s concerning. But at least to California, the cities where Southwest flies are more secondary markets for Hawaiian Airlines. The same can’t be said for Alaska Airlines. Alaska has built up Hawai’i over the last several years, but its bread and butter has been in markets where Southwest will now overlap. That’s going to be a big increase in capacity, so fares have to come down. Southwest has already declared war against Alaska (without using the airline’s name) within California. This just opens up a new front in that war. If Southwest wants to win, it can. This is a bigger chunk of Alaska’s network than it is Southwest’s. Of course, Alaska has known this was coming for a long time, but it still has to hurt. For those in these secondary California airports, get ready for sustained fare wars for a long time, especially outside of summer. AS survived DL’s SEA hub, they’ll survive this. 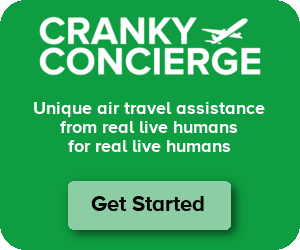 Their toolkit has things like red eyes (enabling east coast connections), first class, bag fees and extra legroom seating to fight off big, bad WN. It’ll hurt, but AS will survive. Hey, maybe it’ll push AS to merge with HA. As an East Coaster, I am pretty bummed they don’t have any eastbound connections. United has a 7am flight from Honolulu to San Francisco so in theory, a 7am Southwest flight would allow some connections back east though. LAX – HNL is a six hour flight. For $49 I can cope with the austerity of a WN flight, but once reality hits where Southwest is par with the competition I’m not sure how they compete. Will the lack of change fees carry as much weight for a leisure run like Hawaii? I doubt it. I like WN for what they do well – short hops with decent frequency where the alternative is often a connection at ORD/ATL/CLT or a cramped RJ. When it comes to longer flights the “full service” of a legacy starts to have more value to me. If this is a just a way for RapidRewards members to redeem then no connectivity to the east coast seems ill suited. California alone is saturated on flights to the islands so I’m not really sure WN’s business plan is. What exactly do you mean by “full service”? Unless you are talking about first class upgrades and lounges, then WN is no different than the big 3; actually its better because they don’t charge bag fees. To the average low-fare leisure passenger, WN is a better option than the big 3. Well I haven’t flown to Hawaii in years but I recall several drink services and plenty of buy-on-board food opportunities with DL. They also had seatback IFE and I’m assuming these days power in most seats. There were also 3 classes of seating so you have options. Recently read that there are now complimentary meals and booze on DL “long haul” flights to the Islands. As a FF I agree that “full service” doesn’t mean much for domestic flights but there is still a very real difference between WN and the big 3 legacies. Whether that matters to you is the question. I’m the most interested in how the inter-island operation will work out. go! didn’t have much success although that is a different story. But it is good to see some competition. How is the war for California going anyway? It seems like its been going for the last 2 years or so with no major battles or decisive wins. Jeremy – If Southwest’s goal is to make life hard for Alaska as it tries to establish a foothold, then I’d say Southwest is winning. But Alaska hasn’t backed off either. Is SW somehow limited and can’t offer red eyes? CLTflyer – I’ve been told so many different stories over the years, but I believe the issue is that the dispatch system needs some downtime every day. I imagine tomorrow I’ll be told something else. You highlight well the challenges facing WN in its Hawaii expansion. – WN does not revenue manage its award bookings which means that they will always have a fairly high percentage of passengers that will be taking award seats. Granted, they are reducing their accumulated award liabilities but their lower published fares than other carriers means their award seats will be generating less revenue (even if it is the conversion of awards on their books). – multiple airlines are codeshare partners on intra-Hawaii flights with Hawaiian which means that not only do they help fill seats, but they have determined it is cheaper to codeshare on HA’s flights than to try to operate those routes on their own – and most mainland carriers have operated interisland flights in the past. As for the discussion about the west coast and California “wars” as a whole, DOT data shows that the biggest winner is United followed by Delta; they are the only two carriers that have increased their share of both the California and west coast markets. All other carriers including WN and AS combined with VX have lost share. All have seen revenue increases due to the end of aggressive discounting that followed the AS/VX merger but the biggest revenue increases go to UA and then DL which have also increased share – with UA the biggest winner. That reality is not lost on WN as they have chosen to focus on smaller players in the Hawaii market rather than the big 3. Brent hit a major point for Southwest when he noted they have a 45 minute turn in the islands. OK, I get that from an operational standpoint, but it strikes me that flying to Hawaii is not like flying to Providence. You have a massive leisure market with consumer behavior based on 55+ years of legacy airline flying. You arrive mid-afternoon and leave to fly overnight. What messes with Southwest’s model is the concept of operating overnight and leaving planes fallow for hours. That’s about as odd for Southwest as buying Airbus or bringing on a jumbo jet! The connectivity issue with the Southwest network also is bizarre. A good friend of mine works for WN. The inaugural flight OAK-HNL is already 65% full and at least 50% full for the first month of service. That’s a lot of ticket sales in one day for one route! At SJC/SAN I think obviously AS will stay and fight. It’ll be more interesting to see what happens at OAK/SMF. AS has little-to-no connecting traffic to Hawaii and much smaller market share than WN. They’d seem to be the obvious loser here but as noted above, they haven’t really budged much in the face of aggressive moves by WN in California. It’d be odd and disappointing to see a pure surrender at OAK but maybe they can reorient their strategy and offer service to major CA/western markets instead of just money-losing Hawaii service and minimal SEA/PDX service. I always thought that AS flying from OAK to Hawaii was a great opportunity when Aloha went belly up. I wonder if they will survive Southwest since Southwest dominates OAK. Southwest is #1 at SJC as well, but it’s not as dominant and AS is #2. One think I like about AS is that they don’t do red-eyes from Hawaii to the Bay Area. I really hate those flights. red-eyes Hawaii is very much a thing – a quick search on schedules shows how AS DL AA UA all have a hefty Hawaii – West Coast schedule, with departures bundling in the 2015-2230 window. If WN wants to truly a make a dent in Hawaiian service other than interisland barely-a-schedule-won’t-call-it-a-shuttle, then they gotta finally upgrade their res systems. I have read elsewhere that WN will start redeye flights later this year, including to Hawaii. Their res system is no longer an impediment. Running the airline around the clock as other airlines have done for years is a monumental cultural shift for WN employees. agreed. other than the part about giving HA much needed competition to keep inter-island fares in check, the HA loyalists are surprised why others aren’t jumping up and down for announcing service that just about every major airline with a meaningful west-coast presence has been offering for years. another strategic mistake from WN’s part is announcing their intentions waaaaaaaay too early, before any of the bits and pieces are in place (mainland gateways, hawaiian airports, ETOPS, etc), giving competitors plenty of time to come up with a competitive response, as witnessed from DTW-HNL announcement from DL (plus others of course), massive frequency and hard product adjustments from UA DEN to multiple airports in Hawaii, AA’s winter seasonal ORD-HNL, and even AS’s SMF-KOA ….. and pretty much all of it bookable/and-or in service prior to WN’s opening the doors. El Al also made the same mistake with their TLV-SFO announcement. WN has flown “red eye” flight for years on charters. Remember, WN is heavy into college charters, from football, basketball, and baseball. Most team flights home (especially football) are red eye flight. I think your analysis of this is excellent. I am a little surprised that WN went to $49. Wouldn’t a $99 walk-up fare to Hawaii have filled these seats with the same publicity value? Meanwhile, does anyone have a good guess what yield WN needs to achieve to be break-even on these flights? Hawaii is far. And it’s a leisure market, so the sky is not the limit on what people will pay. Without scarcity, I’m thinking it’s hard to average much more than $400 (tax included) for a California-Hawaii ticket. What does the data show the average fare in these markets currently is? I just don’t see this as a pot of gold for WN. Maybe it helps with West Coast market share — and encourages California travellers to accumulate RR miles for Hawaii trips — but I’m skeptical this will contribute much to the bottom line. There’s about a three week period where airlines can practically mint money on flying to Hawaii around Christmas. Otherwise, the summer is pretty busy and there is always some level of demand year-round. However, with the addition of WN to the mix, I think you’re going to see someone forced to reduce their schedule. The Bay Area has UA from SFO to four islands, HA from all three airports to multiple islands, AS from all three airports to four islands (though a lot of sub-daily frequencies). Now, add WN to the mix and something is going to have to give especially in months like September and January (after the first week). WN is going on a schedule similar to AS (morning to Hawaii and mid-afternoon return), which IMO is the best possible schedule. It will be interesting to see how this shakes out. I’m also wondering if there’s going to be an “Iceland effect” on the Hawaiian travel market. For those who don’t know, Iceland was a very attractive destination until dozens of new low fare flights were added and travel costs “on the ground” skyrocketed. Hawaii hotel and car rental costs are already sky-high, especially on Maui. I’ve spent a lot of time in Hawaii and like the islands, but I already think it’s a very overpriced destination. With the Mexico crime scare, there aren’t a lot of warm weather vacation alternatives on the West Coast, which is what I assume (along with the booming economy) is contributing to all this new Hawaiian travel demand. I don’t see a lot of new accommodations being built in Hawaii. I’m thinking the boom ends when travellers decide it’s just not worth the cost, even if the airfares are low. You’re absolutely right on that. Costs on the ground have always been high even before there was a large travel boom to Hawaii. This can only make it worse. I really like going, but it’s not a cheap destination. back east there are tons of small islands to pick from, and Cancun isn’t all that far either. something like NYC-Aruba is just 4:45 nonstop. The clientele for those islands are predominantly American and only a handful of Europeans sprinkled (at very specific airports, like the Dutch at SXM etc), and once in a blue moon, well off folks from Latin America. but for Hawaii, the other options are what ? Fiji ? American Samoa ? Tahiti ? it’s the perfect mid-point for Aus/NZ, northeast asia, west coast US, and BC/Alberta … and that’s before mentioning the obvious that they didn’t call Oahu the 5th island of Japan for nothing. All that demand…… and you’re pretty much picking from 4 airports (cuz honest to god, who’s going to Hilo). So sadly, with that level of demand and pricing power, why would any hotel owners bother to improve one single bit ? Yeah, Southwest’s inability to connect the East Coast to their new flights might not be that much of a problem because, let’s face it, Hawaii isn’t going to be a common destination for Easterners. It’s already kind of a Honeymoon destination, and the sky-high prices will only cement this “once in a lifetime” attitude. It will be interesting to see how West Coast demand goes. There’s no obvious solution to the Mexico problem and it’s a looong way to Southeast Asia for a beach. I’d be curious to know if there’s been any spike in Hawaiian hotel/condo construction. I just don’t think that’s a market that’s overly friendly to new development. So I think prices are just going to rise along a supply/demand curve. let’s even forget about east coast demand for a sec … their offering doesn’t even meet all the existing time demand for west coasters, many of which wouldn’t mind a red-eye heading back for the right price. and we haven’t heard anything about SMF and SAN schedules, let alone *any* plans for the LA Basin, PHX, LAS, or PNW. if i were the existing players in the market i’ll be having better sleep than with Ambien. iahphx – I mean, $49 was only on Tues/Weds, so it was just the shocker pricepoint. I think it was smart. As for how much Southwest needs to make, well, I remember Andrew telling me that average fares in Hawai’i were significantly higher than what they were getting on successful transcons. So clearly they think there’s a lot of room. Flying to Hawaii on Southwest, say, from the DC area, 737 all the way, seems a bit cruel to me, until I take note that if you fly on Big ‘ol UA, well, there’s a good chance you’ll be on a 737, all the way with it, too. Never believed UA would get down and dirty like that, back when I was enjoying the wonderful 747, even DC-8 service to Aloha-land. Of course, fares to Hawaii seem about as convoluted as you could imagine, too. Fly from here at Dulles to Kauai, tomorrow, that’s Wed. Mar. 6, on UA for a week stay and the fare is $523 RT, econ-basic and $609 regular econ. Been like that for quite some time. On most days there’s UA’s 4,800-mile, 10 1-2 hr. IAD-HNL 763 nonstop, 7-day stay and a 21day-adv. purchase, in the $790/880 range. How can WN compete with someone like that? Well, I guess that’s why airline pricing people make the big bucks! Similarly, DCA quick hop to DTW MSP ATL DFW ORD (and minor backtracking JFK EWR), all of which now offers multiple nonstops directly to the islands, and frequently to more than just HNL. I am pretty sure that United IAD-HNL is Saturday only, or at least in the “off-season.” However, that 763 ride is quite nice for a 10.5 hour flight. Comfortable layout + room to move. I took it over the Thanksgiving holiday with 4 kids, and we survived just fine. I wonder if anyone would take a shot at buying out Hawaiian if there eps take a dip. It’s weird to me how specialized Hawaiian is and not had to fend off some buyout . In terms of size it seems just small enough to no trigger an immediate antitrust case. I also wonder if the jv there working on is some long term defense to prevent getting swallowed. I only started paying attention to HA in the last ~4 months so I’m probably missing a bunch, like reading a book from the half way point. i’d imagine in such a scenario, local politicians will insert sufficient poison pills to force minimum Hawaiian service to make it rather unattractive for any prospective acquirer. cuz to a tourism-oriented economy such as Hawaii, an airline isn’t just a “market share” play – you’re essentially buying out their essential infrastructure. I lean toward your view, but two things lead me to my comments. 1. It feels to me like Southwest going to Hawaii is some type of tipping point in that will have some level of fall out, I feel the same way About Norwegian over the north Alantic. 2. I think a buyer could pull it off but would have to settle for for an IAG style structure, any US airline that is particularly weak in Asia or West coast. i wouldn’t necessarily bet against HA just yet. The airline graveyard is filled to the brim with examples of airlines who tried challenging HA, esp for inter-island, and for one reason or another, or ended up in the dust heap of history. The local pride for HA is virtually that of a “flag carrier”. But I do get your point that if there’s anyone the anti-trust regulators might remotely consider for a merger, it’ll be jetblue. Unsurprisingly, there are WN loyalists in the Midwest and East who are unhappy that they still can’t use their miles to travel to Hawaii. The problem is math: no redeyes equal no eastbound connections. You can buy two separate tickets, but that’s a pretty dumb use of miles. I was disappointed to see that at least initially there was no service on WN from OGG to KOA, except through HNL. Seems very unlikely that anyone would connect in HNL. I was holding out to buy a ticket on WN, but now going to do that hop on HA.